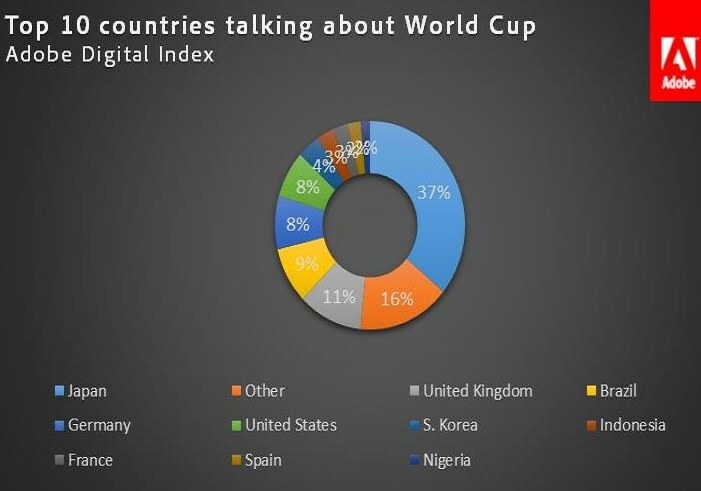 Adobe predicts the 2014 World Cup to be the most talked-about sporting event on social media ever. 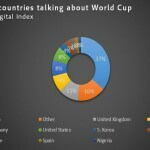 The Adobe Digital Index monitors 69 million mentions of the World Cup across 230 countries and territories and finds 90% of the world has contributed to discussion, compared with 84% for the Sochi Olympics and 78% for the Super Bowl. According to the index, 59% of the social buzz for World Cup relates to admiration, joy, or anticipation for the event. However, Brazilians have a more negative view than others. with 42% of them expressing sadness, anger, or disgust.